Louis Boehmer (1843-1896). He arrived in Yokohama in 1872. 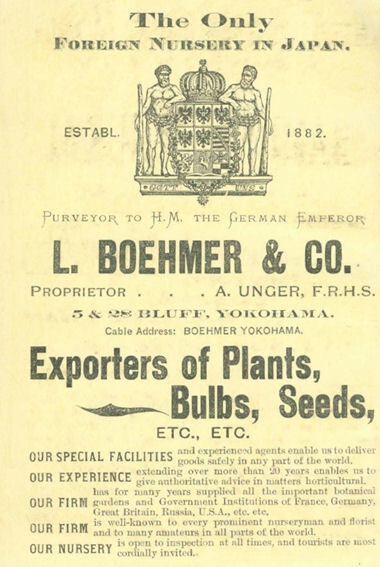 Was agronom and a consultant for the Meiji gouvernment in Tokyo and in Hokkaido. He opened his own plant nursery in 1882. He exported Japanese Plants. 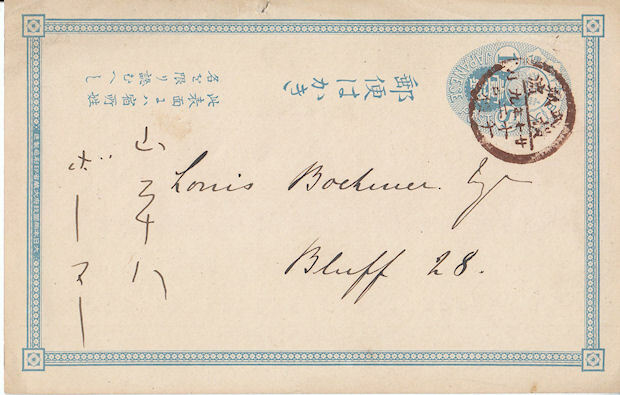 He left Japan in October 1894. 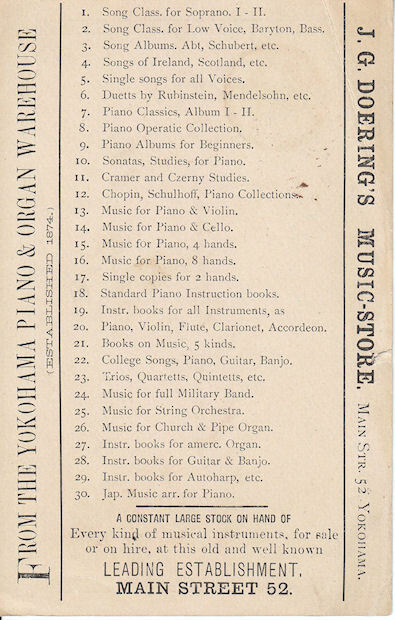 The postcard with information from a music store was send 12/9 Meiji 27(1894). So it is possible the Boehmer saw the card. 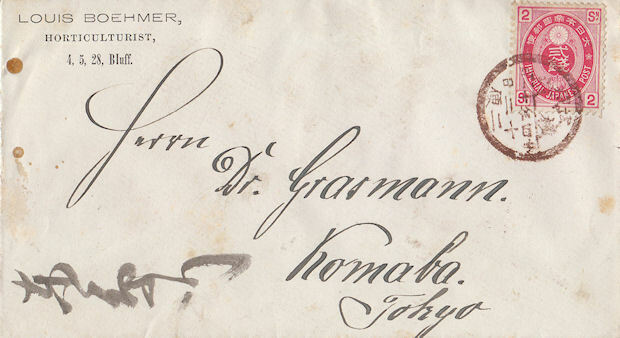 The letter was send Meiji 24 (1891) 11 month 20 day. 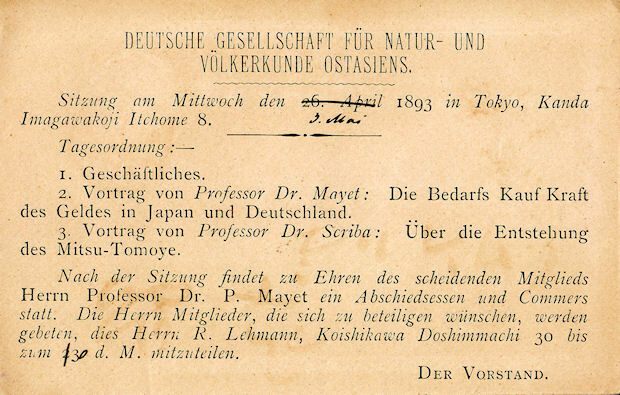 Eustein Grassmann signed a contract with the Japanese government, Ministry of Education, to teach as professor of forestry at the College of Agriculture and Forestry in Tokyo Komaba. At the same time he was also employed as an advisor on forestry matters in various prefectures. He arrived in Japan together with his wife; his 3-year-contract started on November 11, 1887 and ended on November 10, 1890. 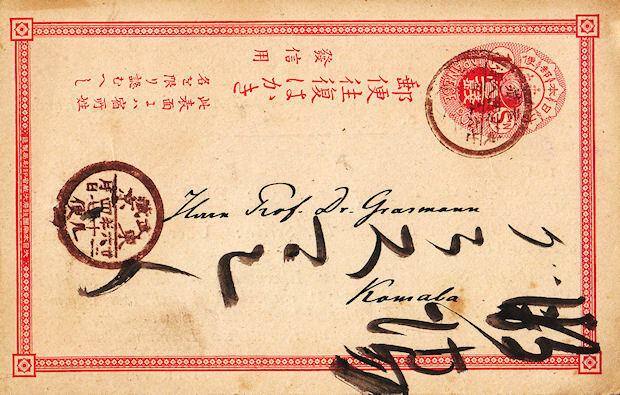 The contract was extended several times and expired finally on July 31, 1895. From this it is clear that both men had in interest in plant and forestry.